News of a federal investigation into a Chevrolet Volt that caught fire hasn’t spooked shoppers of the plug-in hybrid, several Chevy dealers say. “No one has asked about it,” says Ronald DeTommaso, general manager at Atlantic Chevrolet-Cadillac in Bay Shore, N.Y., on Long Island. The store is one of the largest Volt dealers in the United States; it has sold more than 30 since the car’s launch in December 2010. On Friday, the National Highway Traffic Safety Administration said that a Volt at one of its test facilities caught fire about three weeks after the agency had conducted a test crash on the car. NHTSA said the crash damaged the car’s lithium ion battery, which led to the vehicle fire. Nobody was hurt in the blaze. NHTSA said it is the only case of a battery-related fire in a crash of a vehicle powered by a lithium ion battery. Both NHTSA and General Motors have said the Volt is not more susceptible to fires than gasoline-powered vehicles. 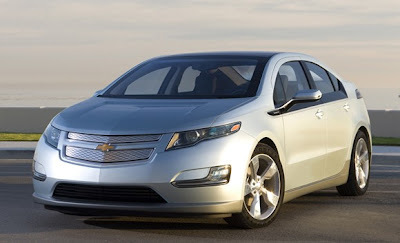 Nonetheless, NHTSA said it is working with GM and other automakers to minimize the risk of post-crash fires. In a statement issued Friday, after news reports about the NHTSA investigation, Jim Federico, GM’s chief engineer for electric vehicles, said the automaker is working with the federal agency on its investigation. Jim Purves, a sales manager at Al Serra Chevrolet in Grand Blanc, Mich., said customers haven’t asked about the media reports of the Volt fire. “I think GM did a great job by getting out there and quickly clarifying the situation,” he said. Tom Cedar, general manager at All-American Chevrolet in Middletown, N.J., said only one customer had asked him over the weekend about the reports. The customer is planning to buy a Volt anyway, Cedar said.